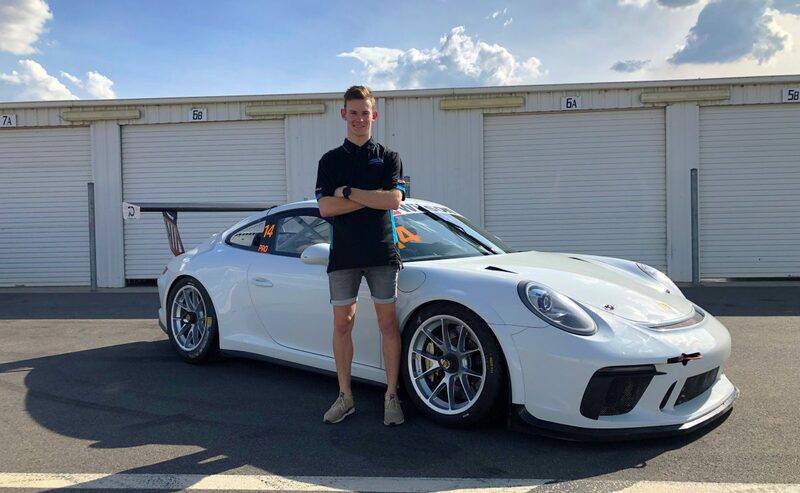 Thomas Maxwell will swap open-wheel racing for tin tops in 2019 as he returns home to race in Porsche Payce Carrera Cup Australia. Maxwell enters the series off the back of a three-year stint in Europe which saw the Darwin native race in the 2016 British Formula 3 Championship before two years in Formula Renault Eurocup, ending up 10th in the 2018 season standings. This year’s Carrera Cup will mark Maxwell’s first racing on home soil since he competed in the 2015 Australian Formula Ford Championship with Sonic Motor Racing. The 20-year old will rejoin the Melbourne-based outfit in the 911 GT3 Cup car driven by Peter Major last year. “I’m super happy initially just to be coming back to Australia and making the step into such an iconic global racing championship in Carrera Cup,” said Maxwell. “There were many reasons we chose the Carrera Cup route as the next step after Formula Renault. “I know the cars are fantastic to drive and the calendar is probably one of the best throughout Australia. “The Carrera Cup competition is also incredibly strong and the depth of talent is amazing, which was another main attraction for us, to be able to race against, and learn from, far more experienced rivals. “I’ve had some laps in the 911 GT3 Cup car and it was very fun to drive. The 2019 Carrera Cup Australia season kicks off at the Superloop Adelaide 500 from February 28-March 3.